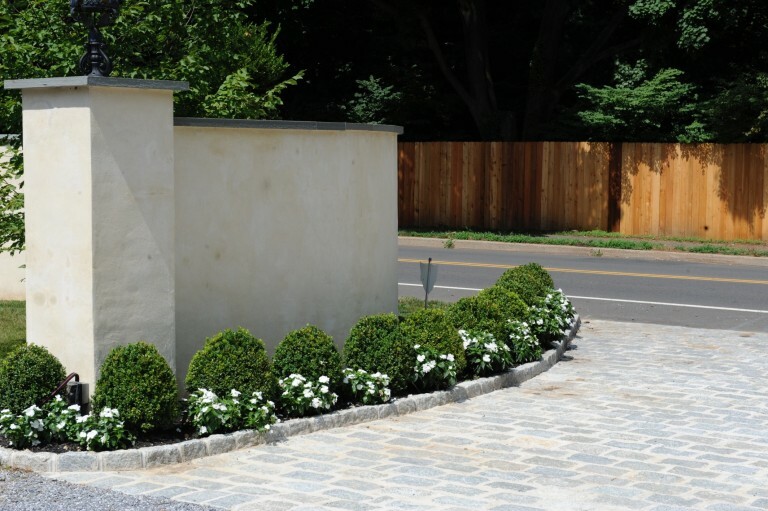 Belgium Block is often used to create edging for driveways, pathways and planting beds durable, as well as attractive and long-lasting driveways and driveway aprons. The blocks can also be used as building blocks for pillars, wall caps and retaining walls. Gregs Landscaping retails Belgium Block at competitive prices. Bulk delivery is available in New Jersey, Pennsylvania, and New York. 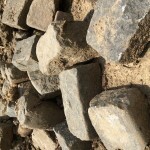 Gregs Landscaping carries five types of Belgium Block. Names: Natural stone blocks, stone paving blocks, curbing or edging. Description: Landscape block, or “mini Belgium Blocks”, are similar to bricks or pavers. But unlike pavers or bricks, they are made from natural gray-colored quarried stone. 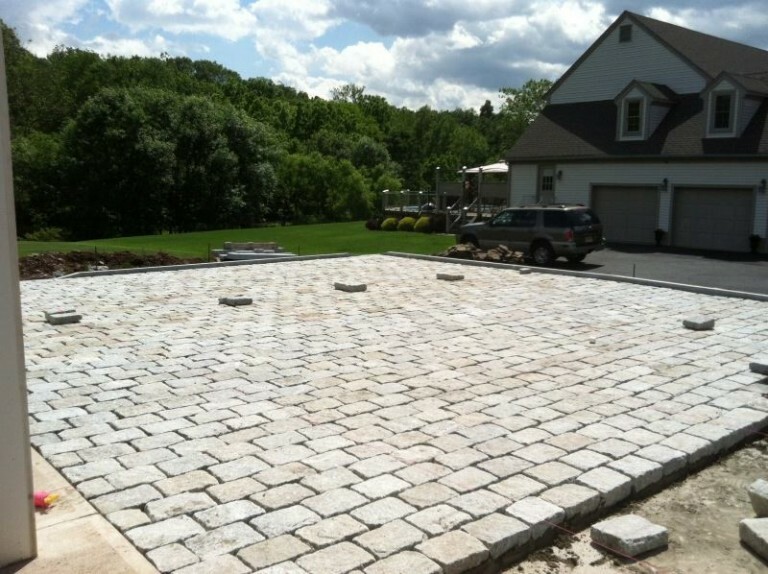 Landscape block is most commonly used to create beautiful and durable driveways aprons and can also be used as curbing or edging for driveways and pathways. These gray stone blocks can also be used as edging for planting and flowerbeds to add visual flair while also preventing grass from growing to the beds. Size: 8” x 4” x 4”. Color: Blocks have a grayish hue. Coverage Area: Approx. 4.1 blocks per square foot. Weight: Approx. 150 blocks per ton. Names: Cube Belgium blocks may also be called Belgian block, landscape blocks, natural stone blocks, stone paving blocks, stone pavers, curbing or edging. 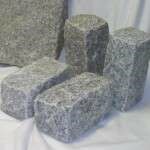 Description: At 4” x 4” x 4”, these natural gray stone cubes are typically used in combination with other sizes of Belgium block to create inlay designs for patios, entryways, walkways and driveway aprons. Coverage Area: Approx 9 blocks per square foot. Weight: Approx 360 blocks per ton. 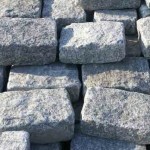 Names: Belgian block, landscape blocks, natural stone blocks, stone paving blocks, pavers, curbing or edging. Description: These natural stone blocks are 9” x 5” x 5”. 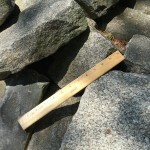 This size is the most common size of Belgium blocks used in landscaping and hardscaping applications. Regular Belgium Block is commonly used in driveways. Coverage Area: Approx. 2.9 blocks per square foot. Weight: Approx. 105 blocks per ton. 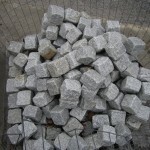 Description: These gray stone blocks are typically used for curbing, edging, driveways and driveway aprons. Coverage Area: Approx. 2 blocks per square foot. Weight: Approx. 70 blocks per ton. Description: Antique block is great for giving pathways and driveways a European feel. The block is Belgium block that has been reclaimed from old roads, making the tops extremely smooth and great for pathways, driveways and the environment. We currently have a light and dark variety available. Coverage Area: Approx. 2 blocks per square foot | Approx. 2.9 blocks per square foot. Weight: Approx. 70 blocks per ton | Approximately 105 blocks per ton. Delivery: We are able to deliver all bulk material, Belgium block, aggregate stone, decorative stone, landscape ties, and mulch to NJ, PA & NY. Delivery charges are a function of the type of materials, the volume of materials, as well as the distance (from our Pennington, NJ location) to your site. Please phone us and we can discuss the particulars of your needs. For more information about pricing and delivery of Belgium block, please contact us. Gregs Landscaping supplies Belgium BlockBulk delivery is available in New Jersey, Pennsylvania, and New York. Free delivery for qualifying orders*.